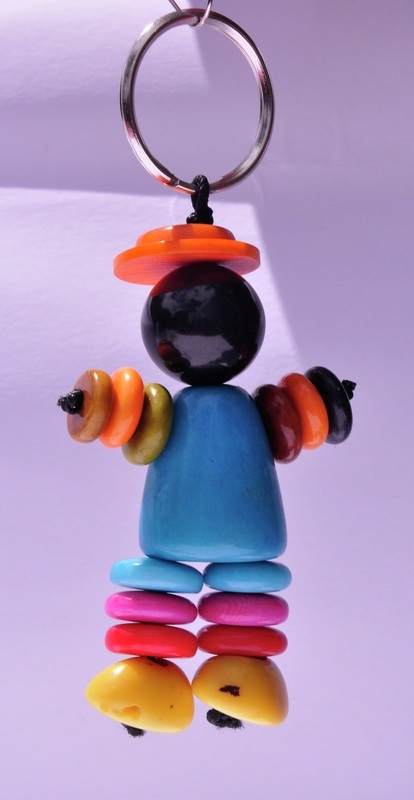 A fun and typical handmade Ecuadorean keyring. Each unique of course!. Model: KRTrad. 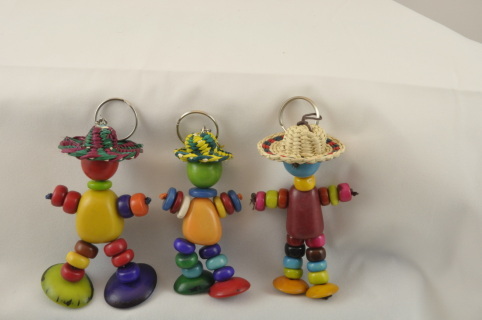 A popular guy that will add colour to your key collection! Each unique, assorted colours. Choose from two styles: Straw hat or tagua hat. Great gift item! Model: KRMod.